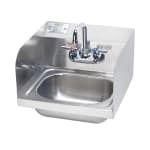 The Krowne HS-26L hand sink can help you equip staff members to follow proper sanitation practices, ensuring your operation meets health department codes and provides safe food to diners. 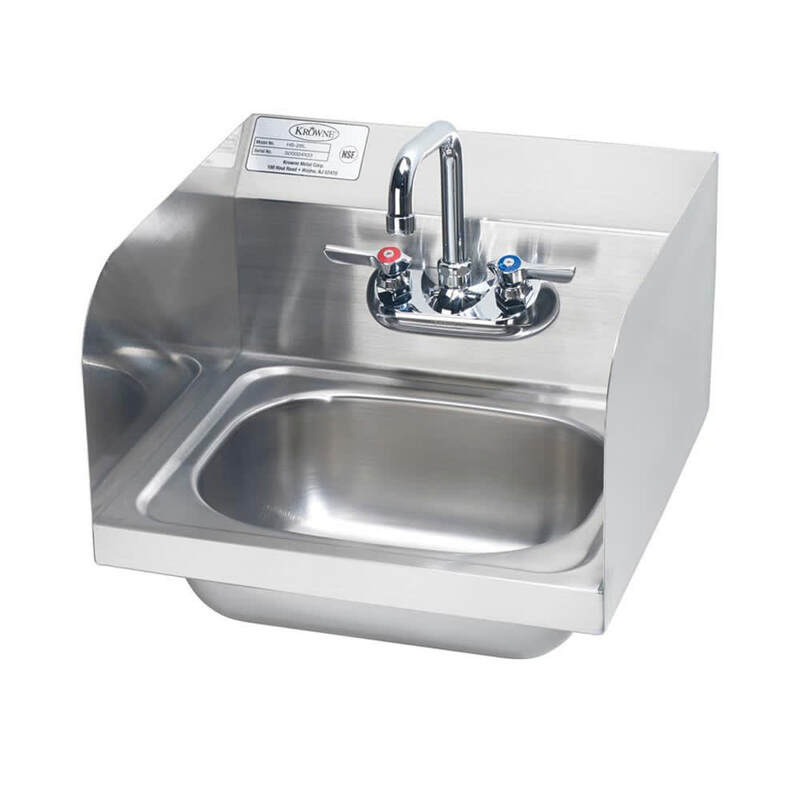 The unit is built for long-lasting durability, with 20-gauge stainless steel and fully welded seams. This wall-mounted unit has offset brackets for easy installation and strength, and 8-inch side and backsplashes. The drawn bowl has a stamped rim to contain spills and splashes, and measures 14 inches wide by 10 inches front-to-back, with a depth of six inches from drain to overflow level. The Krowne HS-26L has a backsplash-mounted gooseneck faucet.